BookingCenter PMS | Consortia Programs | Join a Travel Agent Consortia! Join Consortia Travel Agent groups and increase bookings by offering competitive rates to travel agents worldwide. Each year BookingCenter offers a list of Consortia and TMCs (Travel Management Companies) to our GDS properties for participation. If your property chooses to participate in the annual program, you will receive instructional emails, starting in July/August, keeping you up-to-date with the bidding process for the following year. Along with keeping you informed, BookingCenter makes a strong effort to market your property to these mega agencies. According to HEDNA a Consortia is a “rate negotiated between a hotel company and a travel agency group. Viewership of these rates in the GDS by a TA or other GDS user is restricted and the rate may be booked only after entry of either the Agents or Client authorization code.” Originally started for mom and pop travel agencies, Consortia’s have become a major player in the travel industry. A Consortia is a conglomerate of travel agency members that have joined an organization and by doing this can increase marketing to their customers by offering competitive rates at hotels worldwide. For an overview of this year’s Consortia programs, download this document. All rates quoted are to be guaranteed for the entire year starting from Jan 1 – Dec 31, unless otherwise noted. 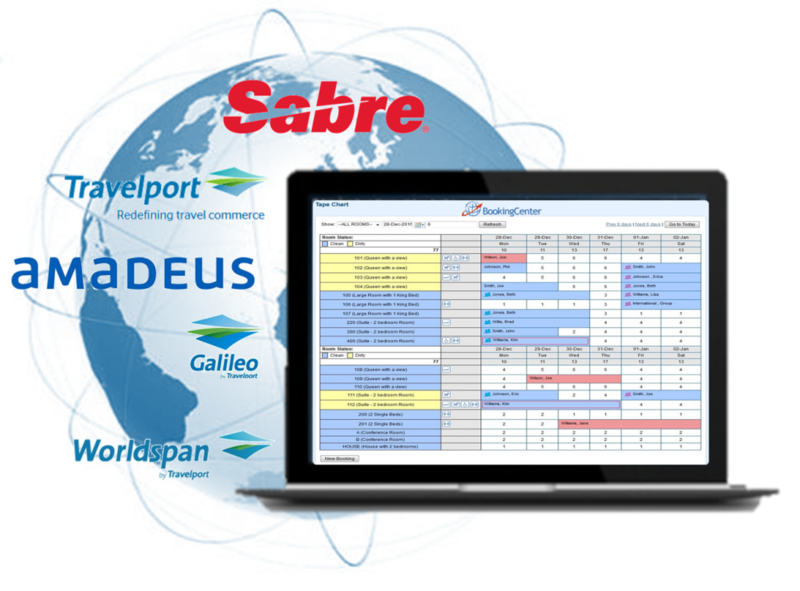 Seamless integration – Using the Nexus tool, we’re able to push rates, availability, and bookings from BookingCenter to/fro your GDS/Consortia rates. Content Integration – Hotels will have the option to auto populate their property profile in Nexus with data from your GDS profile. Centralized Communication – All marketing opportunities will be communicated through the Nexus tool. Using Nexus you’ll be able to respond to Consortia RFPs and handle all marketing engagements through a single tool. Easy to use – Nexus is intuitive and when you have a question our support team is here to assist. Live training sessions are offered weekly so you’ll always have someone available to walk you through the process. What are the Programs that I can participate, and what do they offer? When is a corporate rate vs. consortia rate booked? Please see the list below for details on specific Consortia programs. For more than 35 years, ABC Global Services has been the leading provider of travel-related products and services to the global travel agency and corporate communities. ABC’s Premier Hotel Program is the industry leader, used by more than 7,900 agency locations in 67 countries and driving millions of room nights per year. More information is available at www.abcglobal.travel. ABC agencies include: Altour International, Boeing Travel Management, Casto Travel, Frosch International, Garber Travel, Protravel International, Tzell Travel, Ultramar Travel Management and Valerie Wilson Travel. ABC also provides its hotel programs to prestigious agency networks including: ATPI, Lufthansa City Center, MAST, Nexion and Thomas Cook. your product to the point of sale of 6000 BCD travel counselors in 110 countries and to clients worldwide. Premier membership-based provider of travel, shopping, health, entertainment, and consumer protection services for more than 25 million members across America. These programs help enhance brand loyalty and revenue for marketing partners. Members find tremendous value through the program by saving money and enjoying the convenience of shopping at home or online. Through several Trilegiant Membership clubs (Travelers Advantage, Auto Advantage, Great Fun, private label programs) approximately 4MM members have access to travel benefits including the hotel discount component. Custom Travel Systems is comprised of many independent travel agencies and travel agency consortia, including Hickory Travel Systems, Inc. and FIRST Travel Management International. search online: in the global hotel platform www.DERhotel.com. NEW: since 2016 is DERhotel.com available in the APP Store for the android system. linked to DERhotel.com. In this way you benefit from a constantly increasing business volume. 1. Germany 2. United Kingdom 3. USA 4. Denmark 5. Austria 6. Sweden 7. Norway 8. Netherlands 9. Gold Preferred Programme – Become a preferred partner with DERhotel.com for free! Worldwide access around the clock, instant online access with the possibility to book fully, and targeted customer contacts are only a few of the advantages a partnership with ehotel AG will provide you – and all this will cost you not one single penny. Your record in the ehotel AG database is free of charge. We at ehotel AG only charge a commission on referred sales plus VAT. A proactive, owner-involved international organization of 1,400 independent travel agencies in the United States and Canada, is pleased to invite your hotel to partner with us and participate in our 2005 Hotel Connections program. This is an exclusive program for 4 and 5 star hotels only. All bids are done on paper and cannot be used on Lanyon at this time. Please contact Adam if you are interested in participating in this program. International Travel Partners operates primarily throughout main European cities and the US. Membership is strictly restricted to companies who have an established record of integrity and reputable growth and operate to the business travel sector. Founded in 1912, and renamed in 1945, JTB is Japan’s top destination management company. They organize congresses, events, exhibitions, incentive tours, cultural exchange, cultural and nature tours, cruises, exclusive parties, accommodations, guides, transfers, meeting services, and more to match their travel needs. THOR’s history of leadership in the travel industry spans close to 30 years. Founded in 1977, in Boulder, Colorado, USA, THOR anticipated the need to create a new service providing commissionable and discounted hotel rates, which its member agencies could recommend to their travelers. THOR’s, Worldwide Hotel Program is now the largest and fastest growing program with over 22,000 hotel partners around the world. Many of our 3,700+ member agencies use this extensive worldwide program to book both corporate and leisure travelers. An invitation only program, Virtuoso only accepts hotels on its own merits. Open invitation is not available for this program. Requirements include, but are not limited to: 5 star or superior classification, a history of outstanding service, special amenities provided including breakfast and references from Virtuoso TAÕs that have personally stayed at the hotel. If you have an interest in participation please contact Adam for more information. BCD Travel helps companies make the most of what they spend on travel. For travelers, this means keeping them safe and productive, and equipping them to make good choices on the road. For travel and procurement managers, it means advising them on how to grow the value of their travel program. For executives, we ensure that the travel program supports company objectives. In short, we help our clients travel smart and achieve more. We make this happen in almost 100 countries with more than 11,000 creative, committed and experienced people. And it’s how we maintain an industry-leading client-retention rate of more than 96%, with 2014 sales of US$24.2 billion. For more information, visit.www.bcdtravel.com. Worldwide Independent Travel Network (WIN) – WIN is the Worldwide Independent Travel Network, an established leader in the travel services business. WIN is a partnership of likeminded travel agencies from around the World. Top Cities include: Rome, Milan, Manchester, London, New York, Chicago, Madrid, Toronto, Washington DC, Athens, Vancouver, Calgary, Tokyo, Brussels, San Francisco, Vienna, Barcelona, Edinburgh, Montreal, and many more.